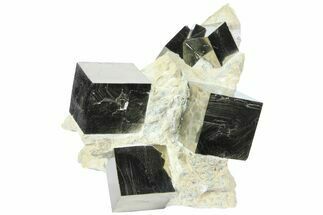 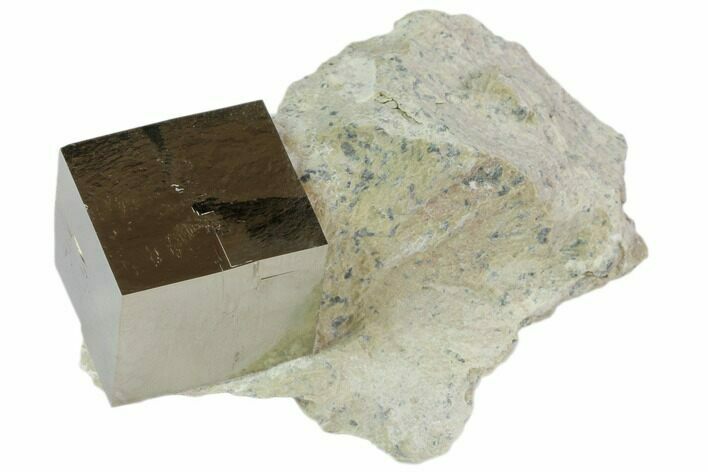 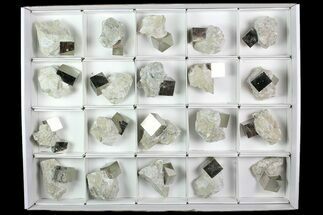 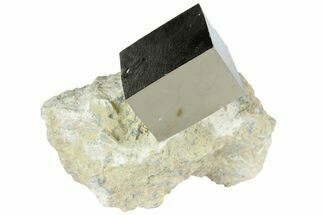 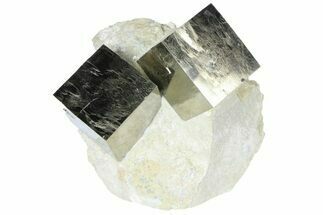 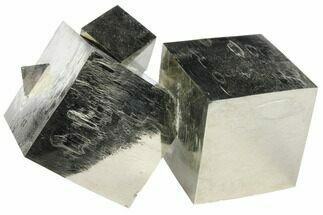 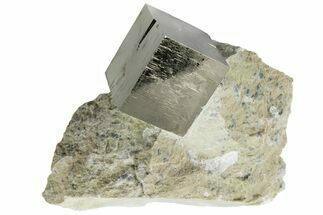 This is a shiny pyrite cube still partially embedded in the rock from the famous Victoria Mine in Navajun, Spain. 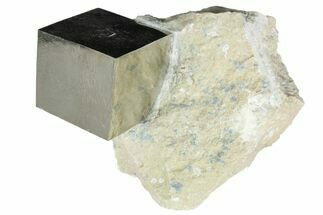 The cube is 1.1" wide. 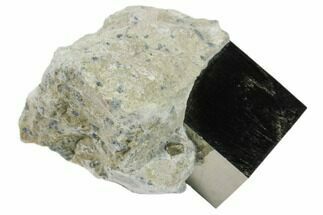 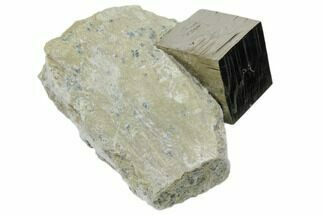 It formed naturally and has been carefully extracted from the rock where it's found in using mechanical tools.